John earned his B.S. in Elementary Education from Moorhead State University. His M.A. in Curriculum and Instruction was earned at the University of St. Thomas, St. Paul. John taught elementary students in the towns of Wabasso and Northfield, MN. He also completed advanced studies in Educational Leadership through the University of St. Thomas. John teaches in the School of Education, the Dignitas program for First-Year students, and serves as chair of the SOE Undergraduate Admissions Committee, long-standing member of the Mission Integration Advisory Board, Chair of the Catholic Studies Advisory Board, and many other ongoing capacities. He has been blessed by interactions with Sisters from the St. Scholastia Monastery throughout his entire life. In his early years of Faith formation, Sister Caprini Beauvais served at St. Anthony's Catholic Church in Ely, MN.. Sister Sara Smedman helped him find his calling as an educator during his time at Moorhead SU. Sister Mary Rochefort & Sister Clare Marie Trettel were instrumental in his transition into and growth at the College. He is thankful for the ongoing mentorship of the Sisters of the St. Scholastica Monastery in his understanding of the Benedictine tradition. His passions include his family, Faith, teaching, reading, music, and numerous outdoor activities. 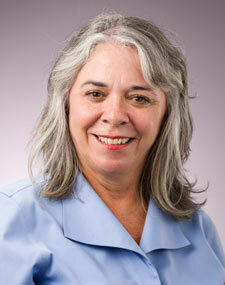 Beth received her bachelor's degree in Natural Science from The College of St. Benedict. She completed a teaching certificate at UMD, and an M.Ed. from St. Scholastica. 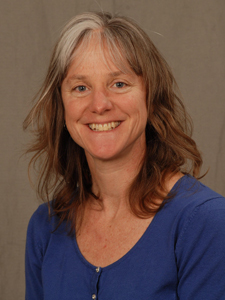 Beth taught middle and secondary level science classes including life, earth, and physical science for 13 years in the Duluth Schools, and has conducted workshops for teachers and volunteered in elementary science classrooms. Her focus is on increasing teacher's abilities to use hands-on science activities that promote critical thinking. Rachel earned her B.A. in English from the University of Rochester. She pursued a career in the media industry in Chicago until she moved with her family to Duluth in 1993. 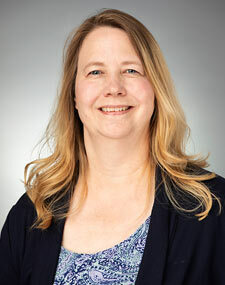 She earned her Bachelor's degree in education from the University of Minnesota, Duluth, and her Master's degree in education from St. Mary's University. She has taught in the Duluth public schools for the past six years. Her academic interests are technology integration, elementary math methods, working with at-risk students, and educational reform. She enjoys reading, gardening, traveling, theatre, and spending time with her husband Bill, sons Connor and Nate, and her dog Cosmo. Dr. Matt Ridenour received his B.A. 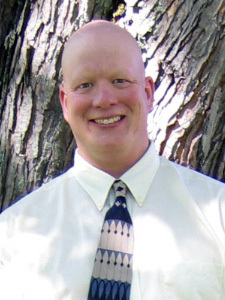 in Philosophy from Bethel University, completed graduate work in education (with a focus on curriculum and instruction) at Colorado Christian University, and received his Doctorate in Education from Hamline University in St. Paul, MN. His dissertation research focused on how college students define college readiness. Dr. Ridenour came to CSS after spending eight years as a classroom teacher in Minneapolis and two years as an Assistant Professor of Education at UW-Superior. 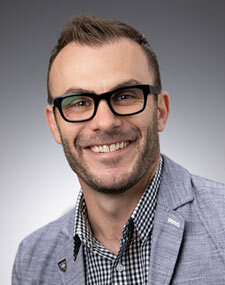 His ongoing research interests involve examining teacher identity and teaching metaphors. As a former whitewater rafting and mountaineering guide, Dr. Ridenour still spends time in the backcountry and on the water with his wife and three children. Noteable awards and honors include: 2018 Wisconsin Teaching Fellow, 2017 SoTL Homegrown Scholar, 2015 Minnesota Teacher of the Year Nominee and 2014 Barringer Research Fellow.